Eva Zethraeus (b.1971) is a ceramic artist living and working in Gothenburg, Sweden. 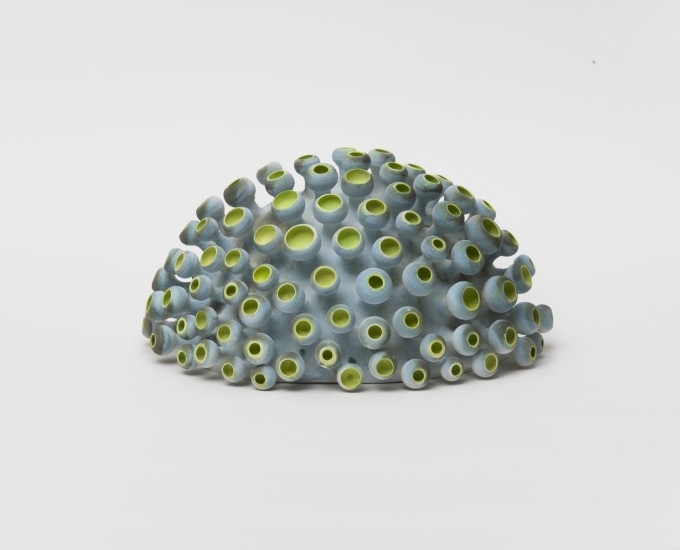 Her artwork, ceramic sculpture inspired by botanical and biological specimens, emphasizes the inherent duality of porcelain clay, a durable medium that she shapes into fragile and tenuous biomorphic forms. Many of her pieces exhibit Japanese stylistic influences, resultant of her residency there. Zethraeus received her MFA from the College for Design & Craft at Gothenburg University and her artwork is featured in the collections of both the Nationalmuseum in Stockholm and the Röhsska Muséet in Gothenburg, She is also the recipient of several major grants and scholarships.